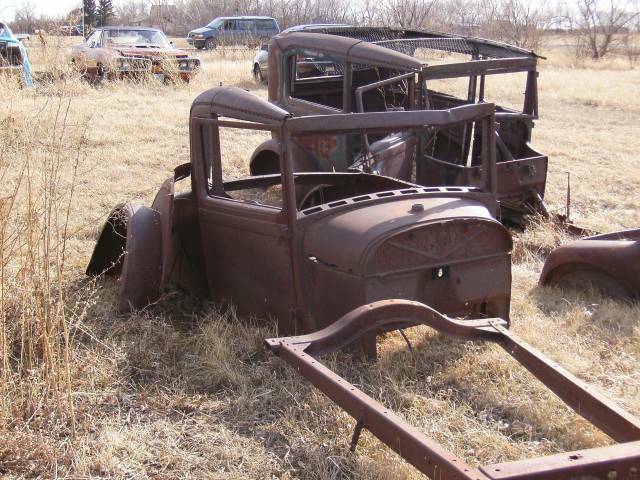 More Rat Rod material.... Photo Picture Classic Cars for sale & Classifieds - Buy Sell Classic Car & Classic Truck Classifieds. Pardon my spelling. "Coronet" not "Cornet" And its a 1970. I think that orange car is a cornet. The model A coupe in front is 28 or 29 as the last two years 30-31 had a cowl line from the door more like a 32 ford. "It's not for sale, I'm going to fix it up someday"
Same body as a 1970 SuperBee I think but the trim and drive line made the Bee.Needs to be closer for me to tell.Thats a 1928-31 model A coupe in front.The gas in front of the windshield is the easy give away. Is that a Supper Bee in the background?